We are proud to announce the release of our latest iPad app project into the App Store with, and on behalf of, our partner Debbie Neale of Click 'N' Colour. The first version of the app (released last weekend) is free, and is followed up with a "Premium" version and subsequent in-app purchases for additional artwork. The concept is to colour in Debbie's fantastic designs (which she has been selling via her website and directly to schools and other institutions) via the iPad interface. New and exciting designs will be added continually and can be purchased from inside tha app by its users as single designs at Tier 1 rates (AUD$1.19), or packs (full alphabets etc) at various other rates. If you have an iPad, download the free version right now and have some fun! 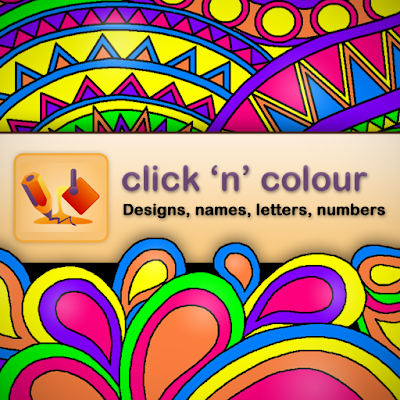 Click here to view Click 'N' Colour in the App Store.